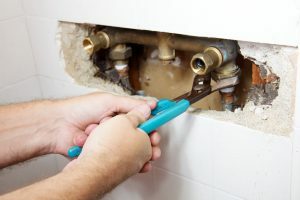 Locating Water Leaks In Your home | Sincerely Yours Inc.
Water leaks in your home are a major problem. Depending on the size and location of the leak, the water coming in can cause structural damage and mold. Many homeowners will search out the location of the water leak, but it can take a long time to find the source of the leak if you don’t know what you are doing. If you suspect a water leak in your home, don’t waste time trying to find it and allowing the water to damage your home more. Contact a professional water damage restoration company like Sincerely Yours in Irmo so that they can quickly find the leak and begin to make the necessary repairs so that your home doesn’t suffer more damage. We know it’s tempting and trendy to take the DIY approach, but that is not a good idea when it comes to water damage. Unless you are a professional yourself, you are not going to know the most common places that water leaks happen, how to spot the location of the water leak or the proper way to get to the leak – especially if it is inside the walls. Professionals have high-powered technical equipment that they are trained to use and find the location of different leaks quickly. The amount of time you save contacting a professional to locate a leak is equal to the amount of money you save by limiting the amount of damage the water is causing while you are trying to locate it. Water doesn’t always leak from the source. There are pipes that travel through your walls and can travel really strange paths before you notice it. So just because water is coming out in your basement doesn’t mean that is where the problem started. A professional team has the experience necessary to understand how water in the home works and travels so that they can explore different areas to quickly locate the source of the problem. You may never think to check for a leaky roof when the water is coming out in your basement. Do You Know The Signs Of Water Leaks? Some water leak signs are easy enough to notice. Bows in the ceiling and discolored walls can indicate water leaks but do you know some of the more subtle signs like some discoloration of copper pipes? Copper pipes can get a slight turquoise line along it where water has traveled outside the pipe. This is just one of the dozens of indications of a water leak that a professional would recognize instantly. Sometimes there are major signs of water damage that professionals will recognize the second they see it, but you may not notice it at all. This is one of the many reasons why it is so important to contact a professional if you think there is a water leak in your home. Yes, you absolutely do want to hire a professional to detect a water leak – but the best thing about having a professional come in and find the leak is that they can start repairing the damage as soon as possible. The sooner the leak is found and repaired, the less expensive the problem is going to be to fix. If you live in the Irmo area, contact the professionals at Sincerely Yours to help you if you suspect any type of water leak or water damage in your home. We will arrive quickly to help resolve the problem and minimize the damage fast.